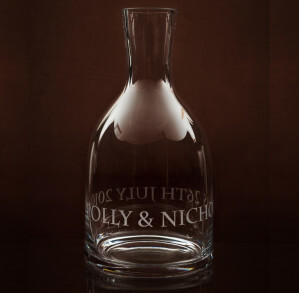 If you require a name engraved we will engrave a large initial with the rest of the letters engraved smaller below. For longer text we will space the text to make a pleasing design. 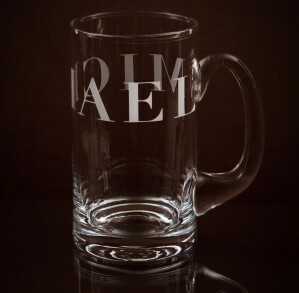 If you would like additional text, it will be engraved on the reverse. Christian names and surname engraved one below the other. Once again, first class product, service, packaging and artistic input! these presents from JoJo always a winner! 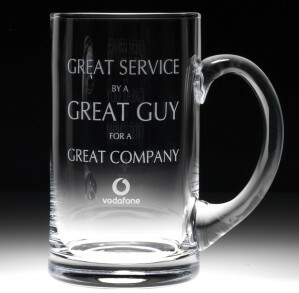 Great service, perfect delivery and excellent product. Recipient extremely pleased! Thank you so much. 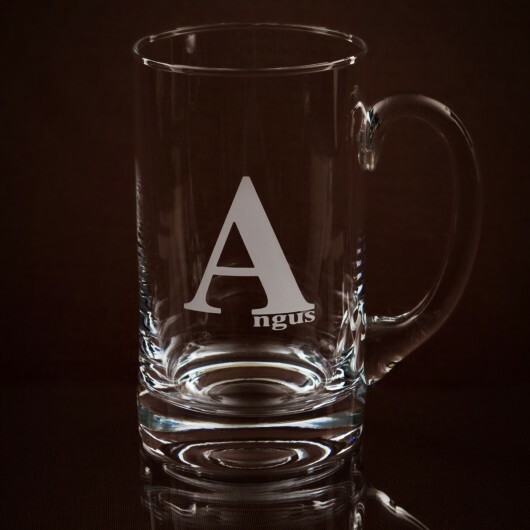 A beautiful tankard – I am thrilled with it. 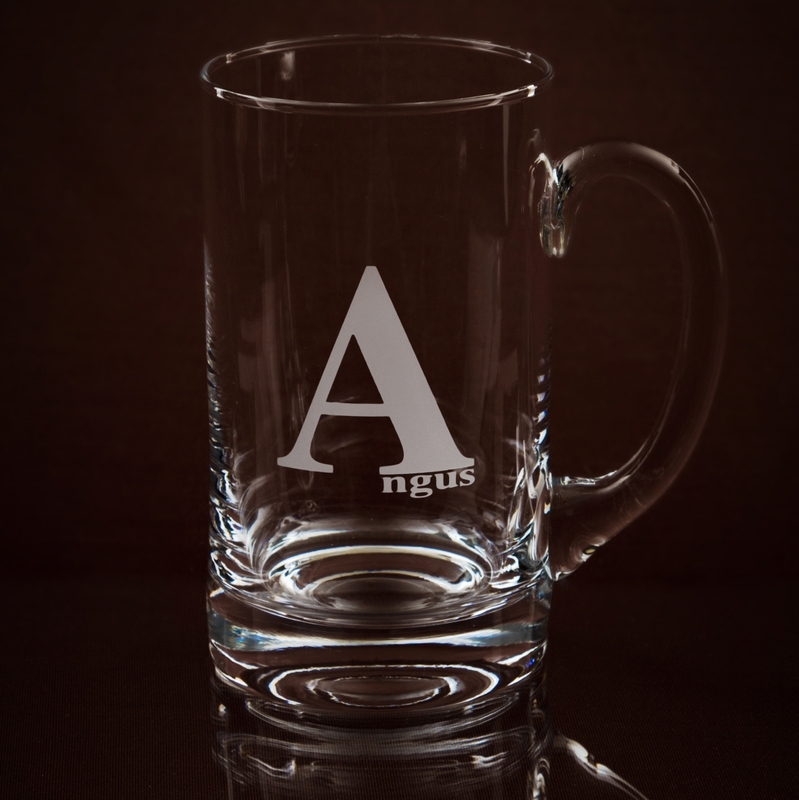 The engraving is fantastic and I love the shape of the glass. Classily wrapped and it really is very clear that a huge amount of care and love went into creating it. Thank you! 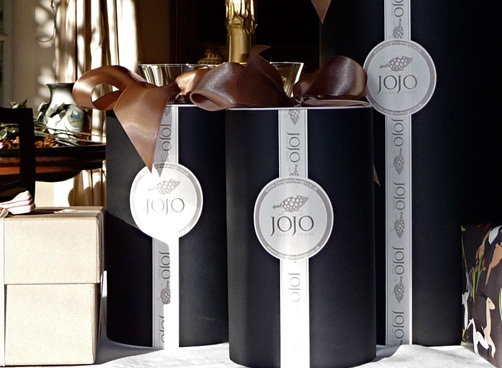 Again, another beautiful product from Jo. A present for my Godson. So contemporary and a little bit different from the norm. 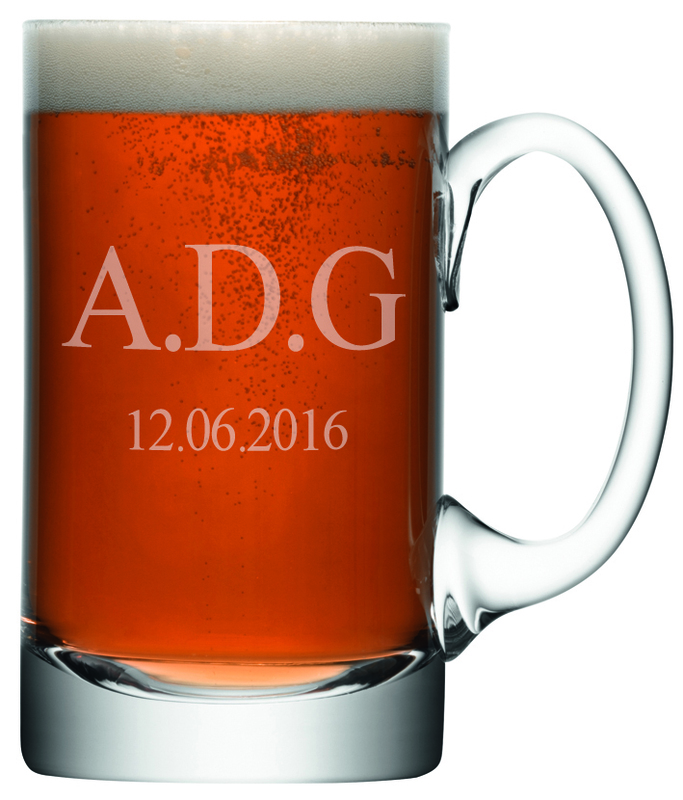 This is the 3rd personalised beer tankard I have bought – all as gifts for Godson and nephews 18th birthdays. All received with pleasure. 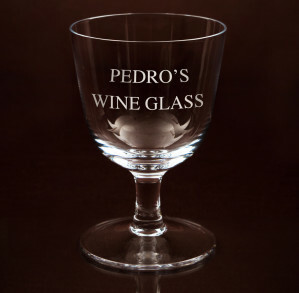 Jo very kindly sent me some artwork samples of the engraving to choose from which was very helpful. Unfortunately I was out when the courier came to deliver the parcel. Jo got in touch to make sure I would be in for the 2nd delivery attempt. Great product and great service.